HOW TO APPLY FOR PNP PROGRAM 2018? 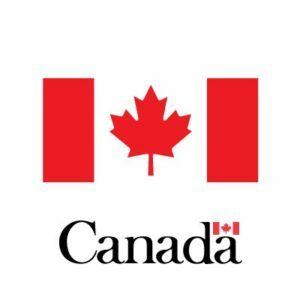 Express Entry Program was launched by Immigration, Refugees and citizenship Canada (IRCC) to select the skilled workers for the invitation to apply for Canada permanent resident visa. In this, Comprehensive ranking score known as CRS is decided for every express entry draw. A minimum comprehensive ranking system score (CRS) is fixed for qualifying express entry draw. Based on their comprehensive ranking system score (CRS), Invitations to apply or ITAs are issued to qualified candidates. Now, the Canadian government has linked Provincial Nominee Program (PNP) to express entry. In express entry programs, a candidate is required to have a job offer from Canada to immigrate while in Provincial Nominee Program (PNP) there is no requirement to have a job offer from Canada if you want to immigrate to Canada. Those candidates who applied under express entry program and are nominated by a Canadian province or territory will receive additional 600 points in their comprehensive ranking system score (CRS). This step by the Canadian government is guaranteeing a candidate an invitation to apply for his or her permanent residence in Canada. So for the candidates of express entry, Provincial Nominee Program (PNP) is necessary because provinces and territories of Canada that operates Provincial Nominee Program (PNP) can nominate a candidate through Express entry pool. Thus those candidates who want to get high Comprehensive ranking score and want to get on the fast track to immigration to Canada may need to look at Provincial Nominee Program (PNP) Options as it is expected that government of Canada will increase the number of Canadian immigrants through express entry which is now linked to Provincial Nominee Program (PNP). To get more information about Canada Permanent Residency Visa you can directly contact to us over the call by ringing us at 011-41075840 / 011-41045840 or by leaving a mail on our email id at info@countrywidevisas.com. You want to inquire about the Best Canada PR Visa consultants in Delhi or want to make your case in high priority then directly Fill Technical Assessment Form for free.